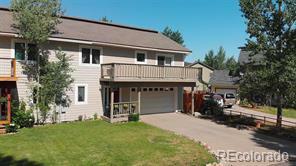 This 1/2 duplex may be the best of its kind in the Mountain area. Excellent condition and recently remodeled this home has ample living space with 4 bedrooms plus an office. The kitchen has wood floors, new stainless appliances, granite countertops and an adjacent laundry area. The main floor master boasts a large master bath with granite counters, dual shower with glass doors, double sink, radiant floor heat and a spacious walk in closet. The basement offers built in shelving with tons of storage space. 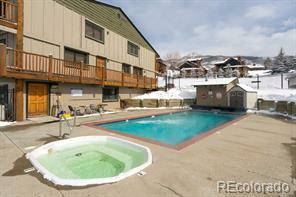 Great views of the Steamboat Ski Area from the wrap around deck with a hot tub. 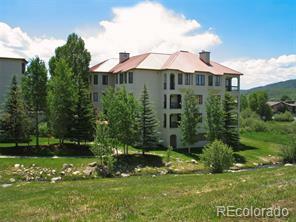 The Bear Creek neighborhood is just 1 mile to the Ski Area and only steps away are the core trail system, bus route, and neighborhood pond.